Your legal partner for employment and business law. 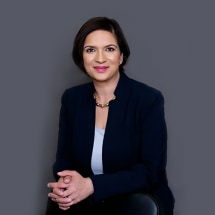 Ayesha Hamilton, Esq. is an attorney licensed to practice law in New Jersey, New York and Pennsylvania. She has her own firm and focuses her practice in the area of employment and business law, representing individuals and companies in their business and employment issues. Ayesha was elected to serve a 4-year term on the West Windsor Township Council and will serve until December 31, 2019. In addition to her law practice, Ayesha serves as the vice chair and arbitrator for the NJ Supreme Court District Fee Arbitration Committee (District 11 (Mercer County). She is a past chair of the AthenaPowerlink Governing Body which helps women owned businesses grow. She is also a member of the Princeton Regional Chamber of Commerce. Ayesha is the immediate past Chair of the Solo/Small Firm Section of the New Jersey State bar Association and also serves on the State Bar’s Legislative and Diversity Committees. She was just elected to a two-year term to serve on the New Jersey State Bar Association’s Board of Trustees. She also serves on the Mission Committee for the Princeton YWCA and is an advisory board member for the New Jersey Leadership Program. Ayesha lives in West Windsor, New Jersey with her husband, Brian, and two children. In her free time, you can find her on the pool deck timing at swim meets for her kids or cheering them on from the sidelines. Ready To Tackle Any Challenge. We stand between our clients and their legal problems, protecting their rights and best interests no matter the issue. Hamilton Law Firm, P.C., is an employment and business law firm based in Princeton, New Jersey. We serve clients throughout Mercer and Montgomery counties.